I lived in a tent in Nepal as a refugee from Bhutan in the 1990s. And so it broke my heart this month, when I traveled to Nepal in the wake of the recent earthquake and witnessed Nepalese families living in a sea of plastic tents, much like the ones my family and I lived in after the government of Bhutan expelled my family and my community and Nepal took us in. I was there to coordinate emergency response in the wake of the devastation that has crippled Nepal, focusing especially on the poorest and most vulnerable people, including refugees whose plight reminded me of my past. Despite my familiarity, I was horrified by the devastation: a 12-year-old whose father was crushed by a house; a huge pile of rubble that buried alive the hundreds of goats that a village depended on for food; a remote village where a tangle of splintered wood was all that remained of 53 of the 55 homes. But what has truly left me with nightmares was not the unthinking destruction of the earthquake, but the sad, avoidable, human failures of the rescue efforts. The world has opened its hands to Nepal, contributing millions of dollars. But this aid has not reached many in desperate need. Nine days after the earthquake, I was told at a meeting organized by the World Health Organization in Kathmandu that six clusters of villages (comprising as many as 40 villages) in Gorkha, the rural district at the epicenter, had not been reached by a single rescuer. Many have blamed Nepal’s mountainous terrain, remote villages and deadly rockslides for stymieing aid efforts. While these factors are certainly at play, they are straw men for the more disturbing causes: disorganization and discrimination. Although Nepal has known for decades that an earthquake of this magnitude was imminent, its government put inefficient plans in place and was woefully unpreparedwhen the disaster struck. International media have reported that customs delays, a glut of planes and other logistical holdups have led to relief materials sitting unused at the country’s only international airport. While we were there, we heard local media say that huge shipments of food rotted on runways in Kathmandu and had to be buried because the government had no system to deliver it to hungry mouths. Government officialstended to their families while international donors clamored to deliver aid with no partner on the receiving end. And while the government did eventually put a system in place for funneling aid from the city to villages, people from several hard-hit areas told me that the officials tasked with distributing it are hoarding the supplies for their own families and friends. It gets worse: While thousands of people in the countryside were dying under rubble, the government prevented willing, able-bodied relief workers and doctors from rushing to their aid. My colleagues and I witnessed this at a coffee shop in Kathmandu, where we met a group of search-and-rescuers from Los Angeles who had spent a week heroically digging out survivors. They told us that there was no one left to save in Kathmandu, but the Nepali government had ordered all 75 of them not to go to the provinces. Instead, they were waiting around to return home. The Nepalese people I met attributed the disparity to discrimination. There is a highly striated class system in Nepal, with the urban elite in Kathmandu at the top and Dalits–the “untouchable” class–at the bottom. A simple mathematics of prejudice dictated who took priority and who was ignored. But these challenges need not determine Nepal’s future. The people are generous and resilient, and everyone could get relief if only responders would prioritize the poor, the vulnerable, and the hardest-hit areas. There are dozens of grassroots organizations that are orchestrating local responses to the earthquake effectively and equitably. For example, an organization called Friends of Shanta Bhavan is providing free medical services, food and tents in Kathmandu’s poor Jorpati neighborhood, where the organization says 80 percent of the houses were destroyed or damaged but little relief has arrived. Shanta Bhavan is also distributing safe drinking water and working to fend off an epidemic like cholera, which is a great risk in the overcrowded make-shift camps. Himalayan Healthcare is working in the devastated Dhading district, where it estimates that the earthquake collapsed 8,000 homes. The organization is flying doctors to remote areas and distributing medicine, supplies and about four tons of rice daily. The organization also plans to construct homes, schools and health clinics. TEWA, Nepal Women’s Fund,is providing medical care to pregnant mothers and their babies who survived the quake but are now at great risk of dying from childbirth or disease. Another group, the Blue Diamond Society,is supporting LGBT people who are generally excluded from mainstream aid. The people of Nepal have nearly nothing, but they are opening their hands to those who have less, just as they embraced me as a refugee decades ago. We must help ensure that our aid reaches the people of Nepal so they can give and receive the help they need. If not, the earthquake’s toll will pale in comparison to the humanitarian disaster allowed to unfold in its aftermath. 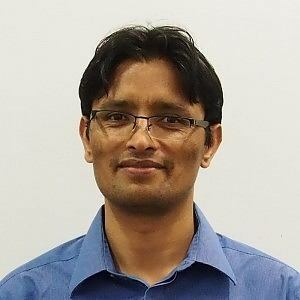 Aaron Acharya, Associate Director of International Operations for American Jewish World Service (AJWS), was born in Bhutan and lived in Nepal as a refugee for seven years in the 1990s. He recently returned to Nepal to help coordinate relief in the wake of the earthquake.